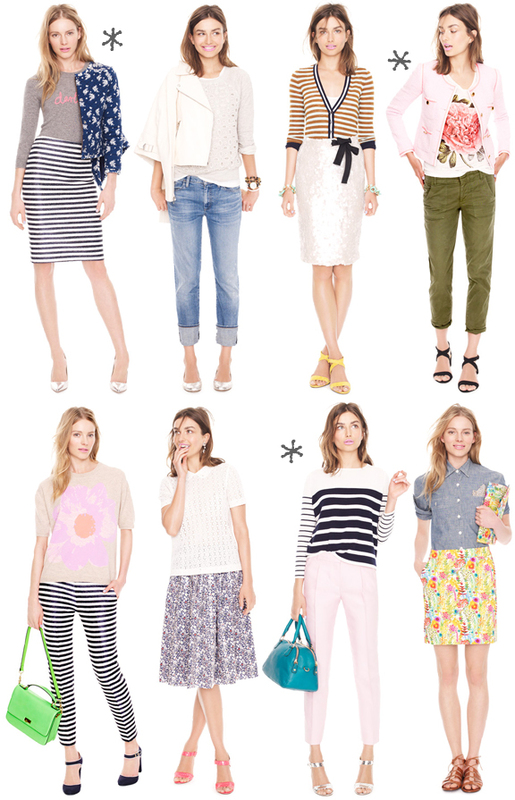 Nothing gets me excited about dressing for spring like J.Crew outfits. I am loving the stripes & florals here. I am especially smitten with the striped skirt, peony tee, and striped sweater. What's your favorite? I love the first outfit with the striped skirt and floral jacket. I love that eyelet sweatshirt! And the sandals in the bottom right look. I CAN'T WAIT to wear sandals again. J Crew puts together the prettiest outfits! I love the peony tee, too.